So I have been entering a number of online competitions and open submissions. Rambunctious Ramblings is an online publishing company that does have some of the best ideas/suggestions for story prompts. There were some really cool variations of a labyrinth. Some that were horror, some fantasy, some a contest, others a love story. It was a fantastic change of pace from what I expected when I wrote the prompt. Below are the winners, each of them will be published in “Collective Ramblings Volume One” which will be published in early 2016. The winner “The Walls are Alive” has been awarded a $50 gift card to Amazon. Thank you all for participating! Follow the link for more information and to enter for yourselves. … amazing isn’t it? New UK SF magazine, The Singularity. 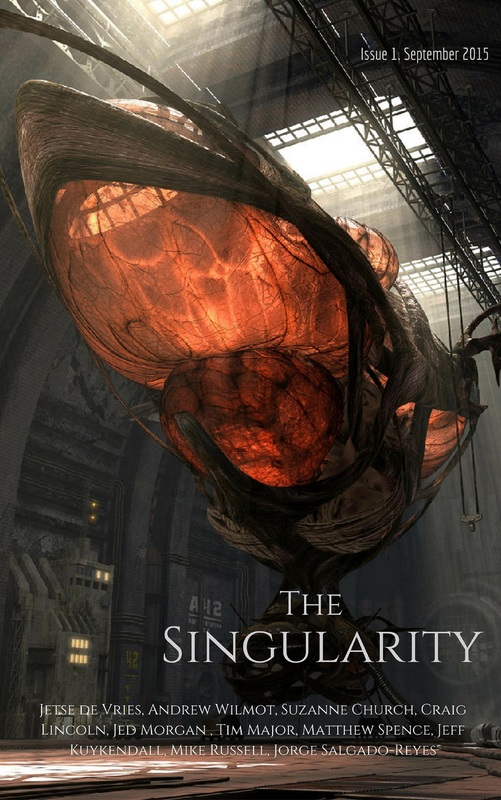 You can get issue 1 of The Singularity in digital versions from Amazon.com and Amazon UK. Print versions will be coming soon.